When the sun strikes sandstone and creosote on a desert morning the scent is fresh earth, warmed greens and possibilities. Hiking out on a vista to watch the desert sunrise, life feels on the verge of beginning, holding its breath as the sky starts to glow. The fading dark shifts into shades of blue, and strokes of yellow and orange herald the first glimpses of the day. As the new sun warms the morning, the scents of the desert come to life, earth, rock, plants and the possibilities you hold. Salida del Sol takes you on a daily journey to meet the rise of the sun. 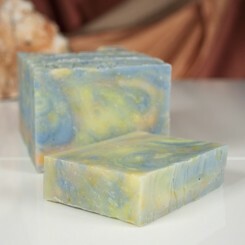 It’s a beautifully swirled blue-sky sunrise soap, with jojoba esters added for texture and an earthy, sage and creosote scent. Rise with the sun, Salida del Sol. 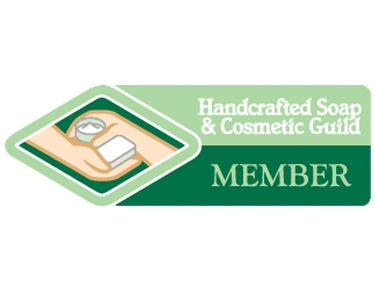 Ingredients: olive oil, coconut oil, distilled water, jojoba oil, palm oil, sodium hydroxide, sunflower oil, castor bean oil, fragrance, vitamin E oil, mineral pigment and jojoba ester spheres.